This Saturday, April 13th is International Record Store Day! And no, it isn't just one of those every day made up hashtag holidays. Record Store Day was founded in 2007 by independent musicians and record store owners as a way to get people in the doors so that maybe while you're there, you'll even buy a record of... The Doors?? Record Store Day "is a day for the people who make up the world of the record store—the staff, the customers, and the artists—to come together and celebrate the unique culture of a record store and the special role these independently owned stores play in their communities." For some of us, Record Store Day is like Second Christmas. It's definitely the Black Friday of the music world, especially for serious vinyl collectors. But "aren't records old news?" Nope! They've made a comeback in recent years, outselling all other physical forms of music. Some of this is because with new artists, new albums, and some remastered vinyl, you get the physical album as well as a downloadable version so you can play it on your record player and also your smartphone. Now this should go without saying but that won't be true of any used albums you may purchase or your parents' collectibles of course, but it's an ongoing trend that has helped skyrocket sales, making 2017 the highest grossing year of vinyl since they began tracking sales in 1991. 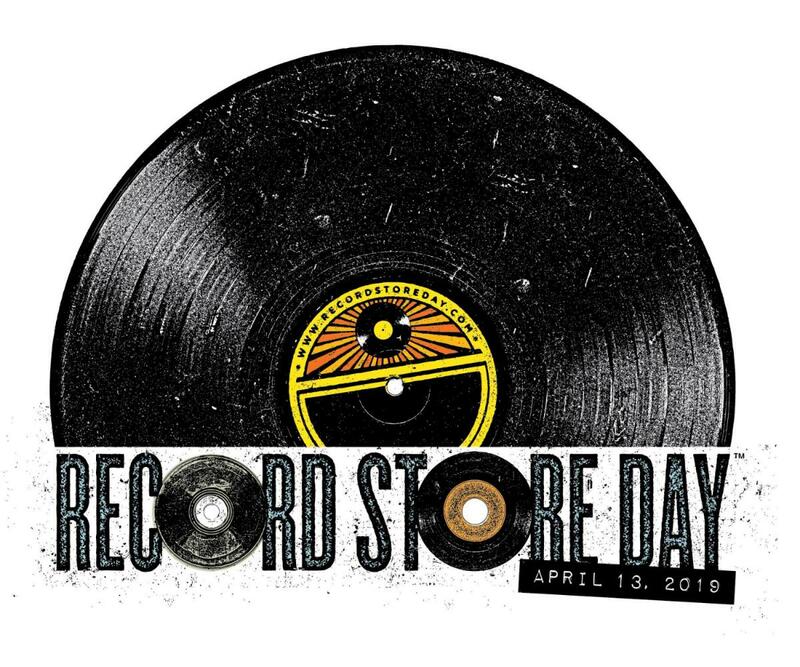 Record Store Day involves tons of sales, specialized merchandise, rare presses, free goodies, and all kinds of fun events to get people involved not just in Record Store Day in Tampa, but also the community and the habit of shopping small and supporting local businesses in your area. The locations in this article are confirmed Record Store Day in Tampa Bay participants, and below is what they will be offering this coming weekend! Mojo Books & Records is no stranger to the magic of Record Store Day in Tampa. Among their vast collection of vinyl, CDs, cassettes, and books lie some RSD merch from years past. They open bright and early at 8 a.m., and have all kinds of fun stuff lined up for the first ten people in line when they open. They also hold a vegan bake sale outside the store to help homeless animals which is a Mojo Record Store Day tradition, and a great way to help their immediate community. - Free PBR during the in-store shows while supplies last. All performances are free and all-ages. "Music portion Co-produced by Mojo Books & Records and Pocket Sand"
Kingfish Records will be starting the day off early and entertaining all day long with performances, free swag, and deep discounts. Get there early and be one of the first 25 to score some fun stuff like promotional RSD totes, tees, and CD's. Sound Exchange Tampa Bay will be celebrating their 12th year participating in Record Store Day in Tampa. Both of their locations will open at 9 am and this is one you REALLY might want to be in early for as you get advanced shopping privileges and there are some limited quantity items as well as limited edition merch. Located in the heart of Seminole Heights, Microgroove Records is calling the whole community for their event. They will have all kinds of local vendors, musicians, and discounts for supporting their ever-growing community. They'll also have PBR (with valid ID) at the time of the shows. What better reason to check it out?! - Cappys Pizzeria Seminole Heights will be opening early at noon to sell/serve slices. - Jug & Bottle Dept. will be there serving Kombucha. - Uncle Mince's World Famous Seitan will have Vegan sandwiches available. - The Independent Bar and Cafe will be offering 10% off your tab (with your RSD Microgroove receipt) all day! Planet Retro Records is teaming up with other record enthusiasts for a whole market this year called the St. Pete Punk Rock Flea Market complete with music, food, drinks, vendors, and of course records galore! Store opens at 8 and the market will be in full swing around 11 as will the tunes. Florida Skunk Rescue will even be there raising funds for their non-profit with their furry friends! This favorite local record store is celebrating its re-opening with a bang this Record Store Day! Daddy Kool has moved to The Warehouse District and will be opening their doors with music, food, and vendors via Indie Flea. There will be craft beer, Black Crow coffee, live printing, Bad Suns signings, and more! Sure to be kool. As you can see, Record Store Day in Tampa Bay is going to rock! If supporting local record stores isn't totally your thing, you could still win out this weekend with free coffee, live performances, new music, and if nothing else, there will be beer (& undoubtedly cool people). It really does mean a lot to these small store owners not only to make a few sales but to make new friends and new connections in the community. It also helps them and the artists performing and producing get some much-needed exposure in the area. Help keep vinyl alive, make your community thrive! And for the latest on great events in Tampa Bay like Record Store Day, stay here at 813area. And make sure to register, it's free!